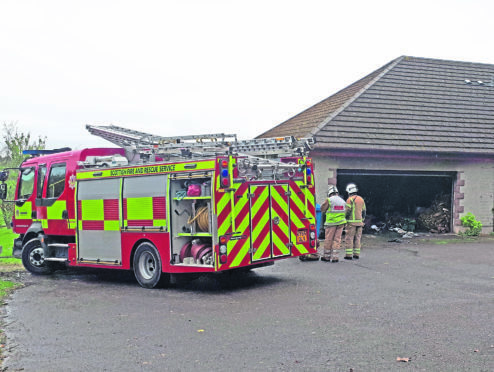 Units from the Inverness fire station saved a Black Isle home after bringing a blaze under control in a 30-minute operation. The fire broke out in the garage of a house in Belmaduthy, north of Munlochy, with the alarm raised at 11am. There were gas cylinders nearby. In what was a successful operation there was only “light” smoke damage and the house was left “habitable”. Station Manager Inverness Ross Nixon said: “It was a shock to the householders so our thoughts go out to them but they still have a standing house and no lives have been lost. “The householders reported there was a fire in the garage and was potentially spreading to the house so three pumps from Inverness plus myself as officer in charged mobilised and got here very quickly.